Great news about your car - Teflon passengers' seat installed yet? Might need a driver's side one, too! Agree. Don't remember hearing it in person. Got the 964 turbo IACV working today. It is just amazing what a luxury a dynamic and responsive idle controller is when you can take temp and throttle position into account. This seems like a good idea. What controls the IACV in a car with CIS? My car useS CIS for fuel, but has an EMS for spark which can also handle an IACV. Can you Tial what upgrade I installed yesterday? Wutz that tell-Tial white goo all over the wategate dump pipe?!?! That **** is like pancake syrup. It just seems to get everywhere no matter how careful you are. That's what they call it where you're from?!?! Haha, not it just made me think about watching my daughter eat pancakes. No matter how hard she tries, the syrup ends up everywhere. 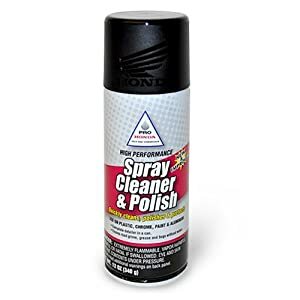 A product that removes anti-seize residue from almost all surfaces (including fabric, leather, etc), without damaging the surface, is Honda Polish. Put a hose on that vent port dummy. Bernie had it disabled on the stock unit. And the car holds and dumps boost just fine. So...why? Because the plate and diaphragm being exposed to the elements is a bad idea. If you get moisture in there the little screws attaching the diaphragm to the valve will corrode. 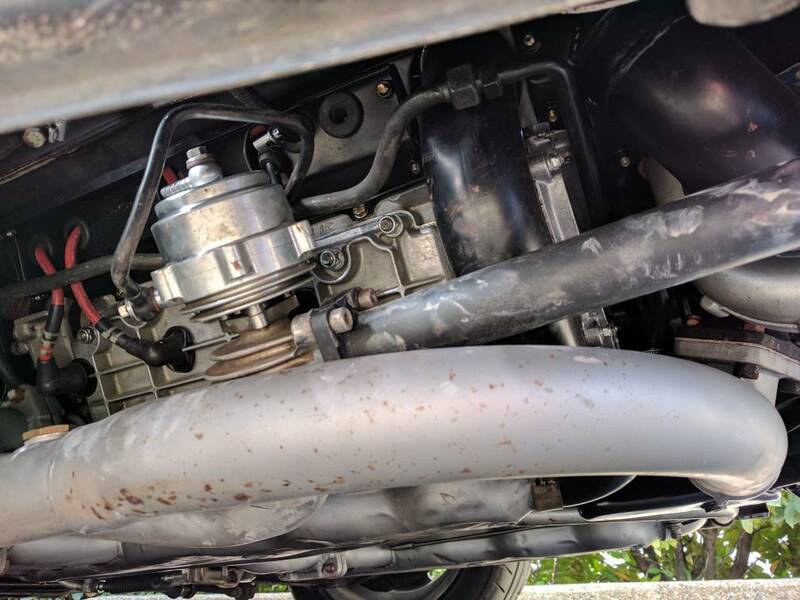 Just run a hose up into the engine bay (just like the stock wastegate). 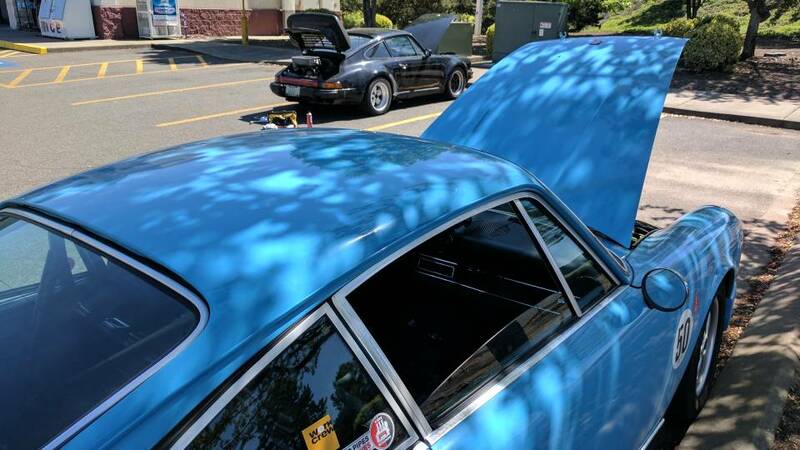 Just completed 2800 miles in the 930. Ended up being an emergency back up, when the SC ended up having serious CIS issues. Really didn't want such a major trip to be the shakedown, but when fate forces your hand, you nut up. Only real prep was spending the Saturday before Monday's departure putting in a cobbled together interior, which would be only to keep the drone of the road noise down. Overall, issues were minimal. Lost a starter in Bend, OR. Ordered one a stop ahead and had it installed the next day in Medford. Always buy new Bosch! They rock. Another random occurrence was the crank sensor deciding to walk into the crank wheel...not sure how that happened, but here's the road side troubleshooting.